This recipe uses canned beans, which can be high in sodium. Be sure to rinse well to remove over ⅓ of the sodium indicated on the label. If you want to add some spice, serve this with hot sauce on the side. Sauté the onion in olive oil in a large pot over medium-high heat. After 2 minutes, add the cumin or chili powder. Add one can of beans and broth or water. Cook for 4-5 minutes on medium heat, stir occasionally. Remove from heat and use a hand blender to puree ingredients or transfer to a blender and puree. Add the second can of beans to the pot and cook over medium heat 3-4 minutes or until bubbly. 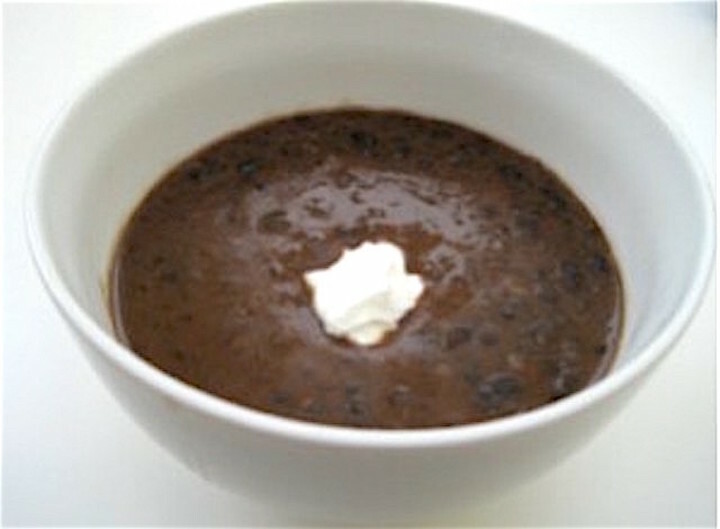 Serve topped with yogurt or low-fat sour cream.